Pregnancy: Why Go to 39 weeks? There’s been a trend toward earlier deliveries in recent years as some women are choosing their delivery date. This practice, known as an elective delivery, rose significantly from 1990 to the mid-2000s. Delivering early may not be the best course of action, however, and some research highlights how babies are born healthier if they have at least 39 weeks to grow in the womb. The baby does a lot of developing in those last four weeks. For example, at 39-40 weeks a baby’s brain weighs one-third more than it does at 35 weeks. The liver and lungs also continue to develop up to 39 weeks. So unless there is a particular medical reason to deliver early, it’s best to wait. In fact, delivering early can create lasting health problems. Some studies have found a greater risk of serious medical complications including bloodstream infections, breathing problems, and feeding problems. One NIH-funded study looked at more than 13,000 women who gave birth by elective cesarean delivery (C-section) at 37 weeks or later. The babies delivered at 37 weeks were twice as likely as those born at 39 weeks to have complications. These complications include heart problems, difficulty breathing, and seizures. 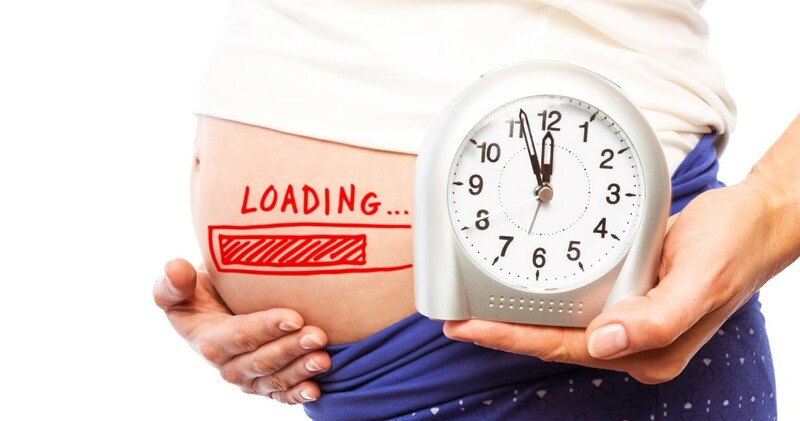 Mothers who deliver early may also face their health challenges. There’s an increased chance of postpartum depression and stronger, more frequent, contractions during labor. Women who have a C-section also have a greater risk of infection and experience longer recovery times. This entry was posted in Expecting Parents. Bookmark the permalink.